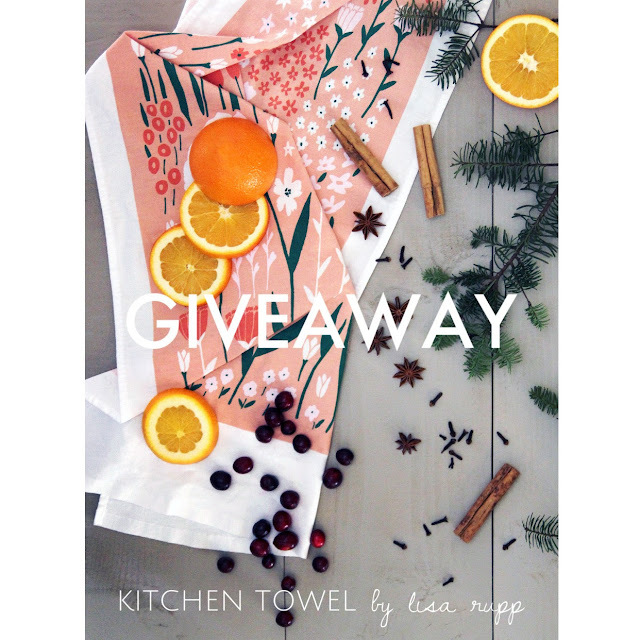 Not only am I sharing a holiday "recipe" today, but I also have a fun giveaway for each of you! I have teamed up with my sister, Lisa from Lisa Rupp Designs to giveaway one of her beautiful screen-printed kitchen towels. They would be perfect in any kitchen whether hanging on an oven handle or hung on the wall. She has four different colors to choose from along with several other amazing products on her Etsy site. The winner gets to choose any color of kitchen towel they would like. The giveaway will close Friday, Dec. 18 at 5 p.m. MST and the winner will be announced this weekend. 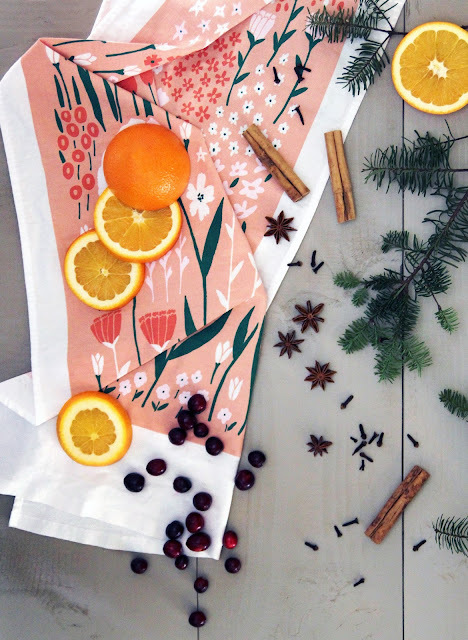 We also thought it would be fun to share a way to spice up your home during the holidays and make it smell just like Christmas. 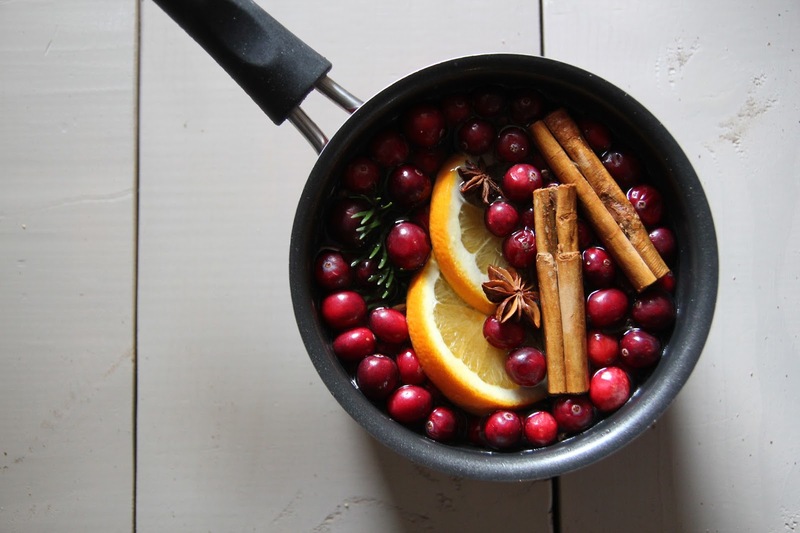 Holiday Stovetop Potpourri is one of the easiest and most inexpensive ways to make your home smell amazing for the holidays. The best part is you really can throw in whatever fruits/spices you have lying around your house that remind you of Christmas. 1. Combine all the ingredients in a medium-sized pot. Fill with water until it is 3/4 way full. Place the pot on the stove and bring to a gentle boil. Reduce the heat to a simmer as long as desired. Add more water as needed.